The 6SN1118-1NK01-0AA1 Simodrive Axis Control card is part of the Simodrive 611 series. It is a 2 axis control card that is used for resolver speed/torque setpoint positioning. This card is expandable by using option modules. For more information, you can visit the product page for the Siemens 6SN1118-1NK01-0AA1 Control. Recently we had a customer who we helped to walk through with booting up a 6FC5210-0DF22-0AA0 Siemens Simodrive PCU 50 unit that they were replacing. Their original unit was starting up and then freezing after several minutes so they decided to go ahead and replace the unit, as their original was diagnosed as having a blown main board which was not repairable. There were some issue with getting the replacement up and running, so we wanted to give a simple explanation for powering up a 6FC5210-0DF22-0AA0 unit (view Siemens CNC Simodrive Series parts here), along with an accompanying video showing the final result. To start, the PCU 50 need to be hooked up to 24VDC power using the accompanying green plug. On the PCU 50 itself there is a wiring diagram showing all of the connections for the ground and the +/-. Next, the display monitor is hooked up to the VGA port, and then the keyboard/mouse are hooked into either the USB connections or the designated connections on the side of the 6FC5210-0DF22-0AA0 unit. Before powering on the unit, you need to make sure to turn the black knob on the CPU card from the “non-operating” position to the “operating” position. If it is not changed the unit will still power on, but you will be unable to access the CPU. Once everything is set you can turn on the DC power and the 6FC5210-0DF22-0AA0 will power up successfully, bringing you to the login screen. Here is a link to a video showing the connections and the booting process. 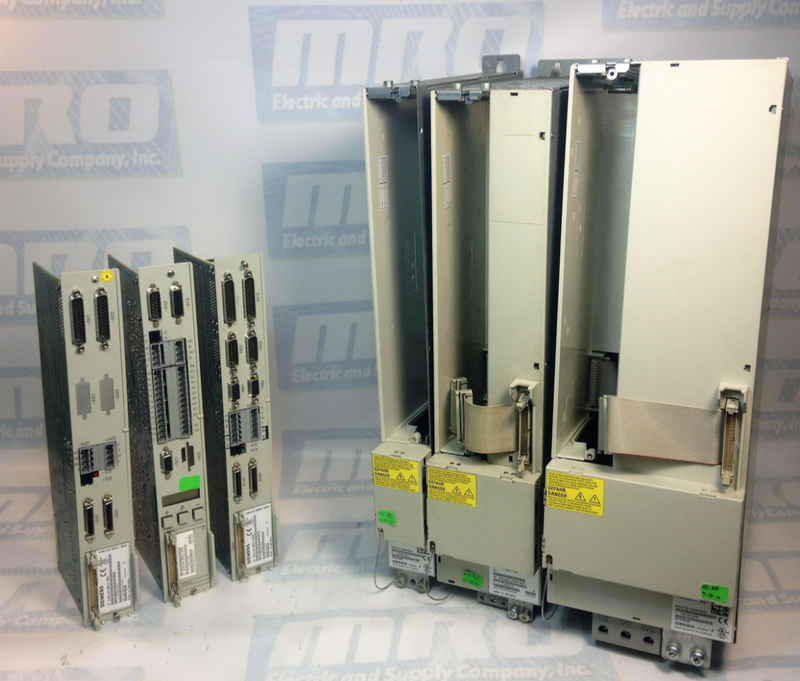 MRO Electric stocks new and refurbished Siemens CNC Simodrive parts. We also provide pre-priced Control Techniques repairs. For more information or to request a quote, please call 800-691-8511 or email sales@mroelectric.com. The infeed modules are used to connect the drive group to the line supply. The infeed/regenerative feedback module (I/R module) and the module for the unregulated infeed (UI module) are used to input power into the DC link. Further, the I/R, UI, and the monitoring module also provide the electronics power supply for the connected modules. The infeed modules do not have any comprehensive overload protection. Such overload protection must be provided by the configuration and correct setting of the current values in the control boards. The monitoring module contains a complete electronics power supply for the equipment bus and the central monitoring functions for a separate drive group. The power is normally supplied from the 3-ph. 400 to 480 V AC line supply. For emergency retraction in case of a power failure, the power supply can also be connected to the DC link in parallel. The monitoring module is required if a higher number of drive modules in a group exceeds the electronics power supply of the infeed module (I/R or UI module). The monitoring module also allows groups of drive modules to be created in multiple cabinet compartments or tiers. The I/R, UI, and monitoring module are located at the first module at the left in the drive group. The mounting surface for the line supply infeed and drive modules, as well as the commutating reactors and line filter, must be mounted to the mounting panels through a low-resistance connection (e.g. galvanized plates and panels). Line filters, line filter modules, and shielded cables are available in order to comply with the CE requirements regarding the radio interference voltage limit values. Shield terminal plates are available to meet EMC requirements when using shielded power cables. The overvoltage limiter module is required so that the line supply and infeed modules are implemented in conformance with UL. In the “standby mode” of the line supply infeed, pule inhibits the power modules, terminal 63 should also be used to inhibit the pulses in the infeed. The DC link remains at the non-regulated level: this means that when the pulses are enabled, it is immediately regulated and is ready to operate. The cycle indicated above also applies to the starting frequency of the power supply (from the line supply or X181). The maximum starting frequency for the power supply is five times within a five minute period. 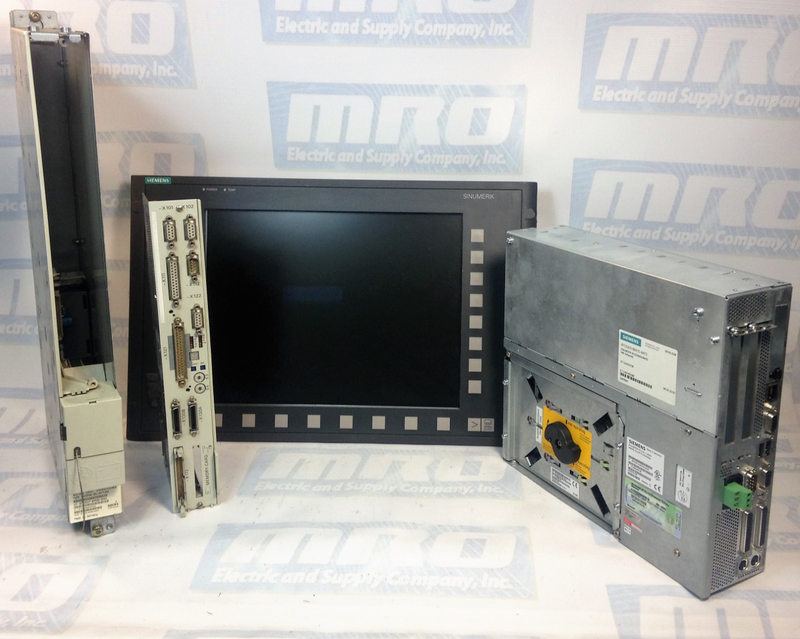 MRO Electric and Supply has new and refurbished Siemens parts available, including the Siemens Simodrive series. We also offer repair pricing. For more information, please call 800-691-8511 or email sales@mroelectric.com.